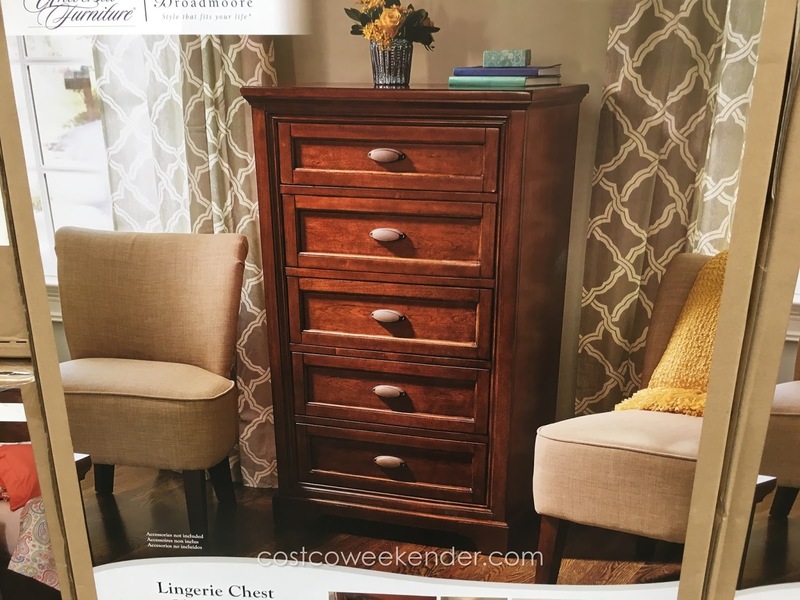 For those who have a lot of clothes, a dresser or even an entire closet may not entirely meet all their storage needs. Then they might benefit from the Universal Furniture Broadmoore Lingerie Chest. It comes with 5 finished drawers with English dovetail construction. 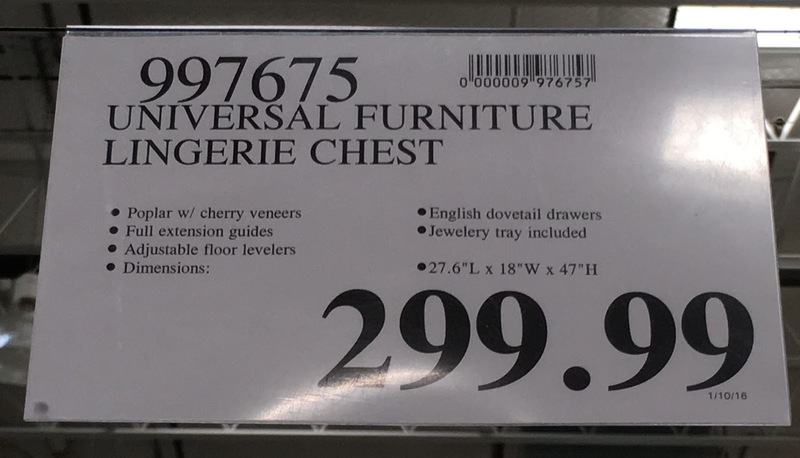 It seems like this piece of furniture is made of solid quality and construction. I especially like the included restraint kit which a lot of pieces of furniture don’t come with. 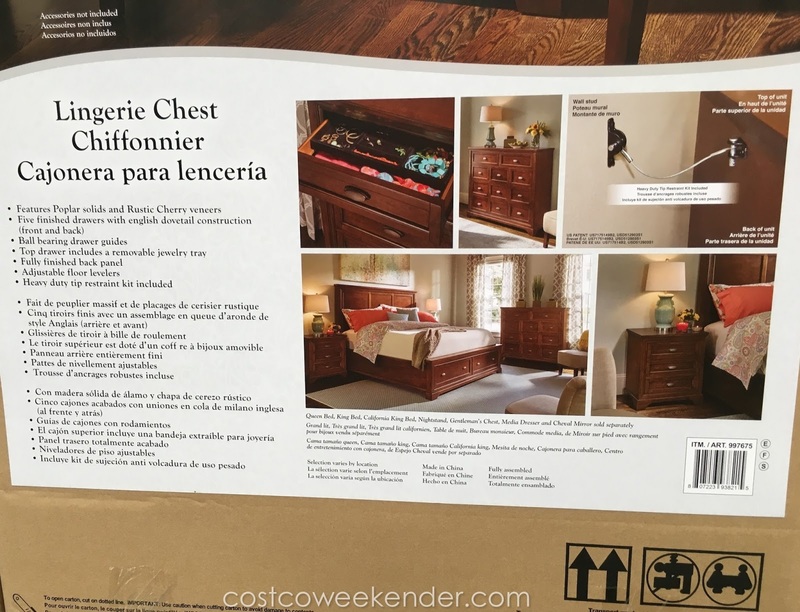 The Universal Furniture Broadmoore Lingerie Chest also comes with a removable tray to house that special jewelry collection of yours. 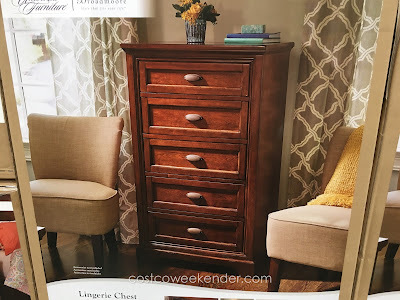 I would probably keep the really valuable stuff locked up somewhere else but for the everyday jewelry, the Universal Furniture Broadmoore Lingerie Chest will do just fine. Not to mention the chest can be used for your clothes as well.